Australia Day, January 26th 1916. 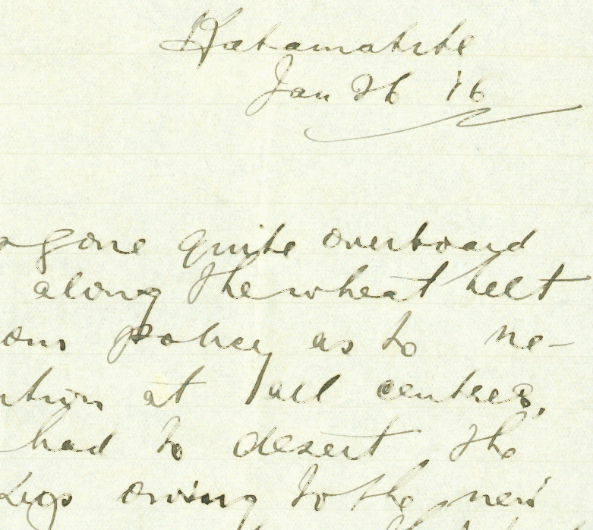 When John Curtin wrote this Australia Day letter to his future wife, Elsie Needham, he had spent the previous night at the small Victorian town of Katamatite. Curtin was doing the rounds of bush camps and small towns in Victoria while working for the Australian Workers’ Union. He had proposed to Elsie before she departed for South Africa in 1914, and it was to be a long engagement. Curtin was still to find secure employment before they could marry, and he needed sufficient income to support a wife, while still providing some financial support for his mother and invalid father. 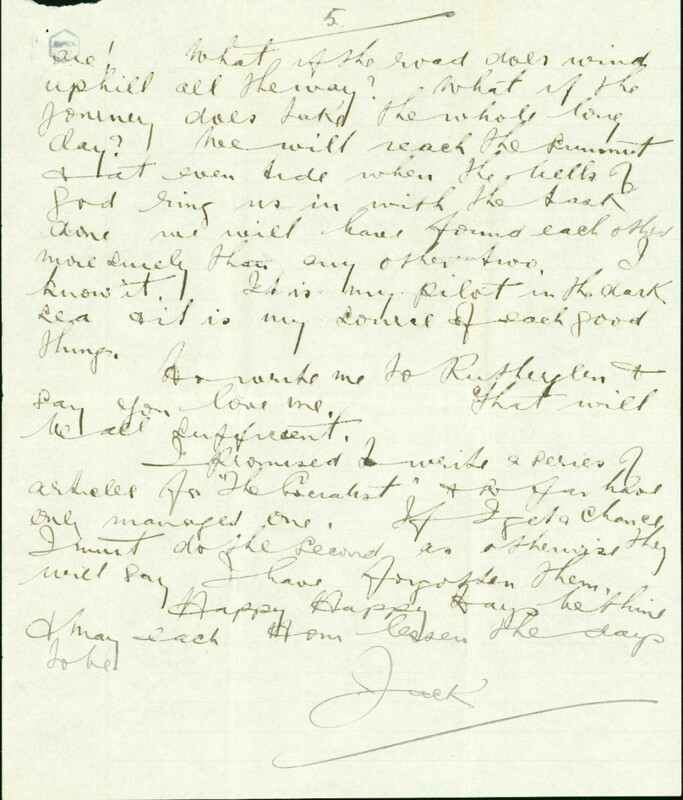 Curtin’s first journey on behalf of the AWU into the Riverina was by bicycle during December, and in earlier letters he complained of the discomfort and deprivation. By Australia Day, January 26th, he was on his second journey, the towns he visited were on the railway line , and he was cheerful about sleeping ‘under the canopy of god, winked at all the time by the goddesses smiling from the sky & felt life after all was very good’. 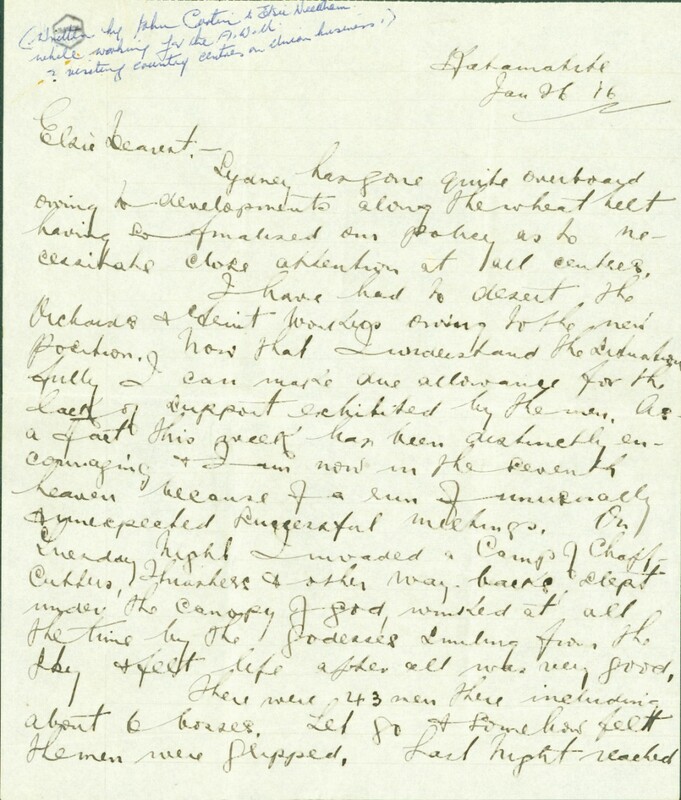 Curtin’s letter expresses his future hopes together with a sense of purpose in his efforts for the ‘Movement of Labor’. 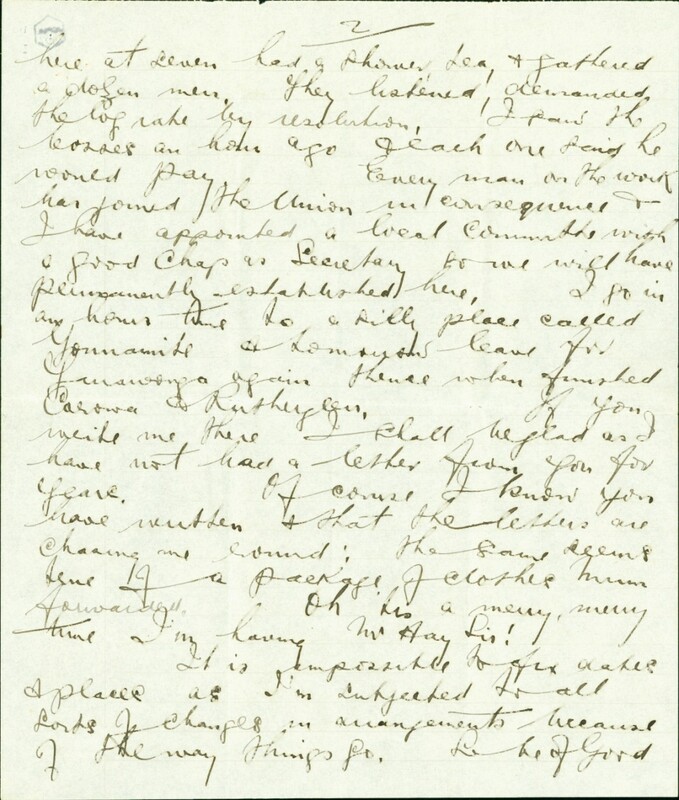 While Curtin asks Elsie to write to him, ahead of his destination of Rutherglen, the letters he hopes to see in reply have either not survived or are yet to be discovered. And page 4 – perhaps containing even more personal sentiment – is also missing. 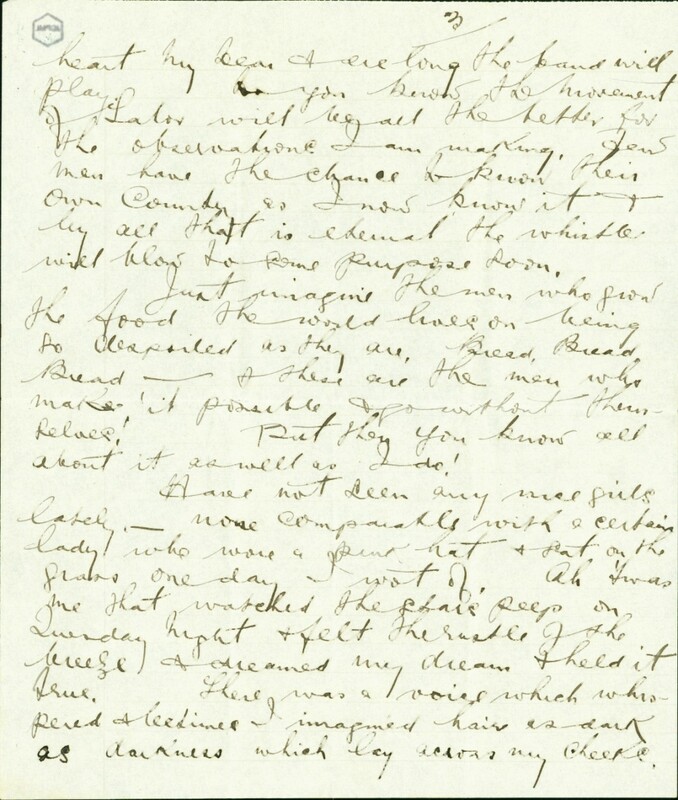 Curtin was buoyant as he wrote this letter in the first month of 1916, but the year would not be an easy one. A few months later he was immersed in the anti-conscription campaign, and by mid-year he was admitted to hospital to deal with his problem with alcohol. To cap off the year, in December he was jailed for failing to respond to an order to attend military training. 1916 was the last year he would live in Victoria, and the last year he would know life as a bachelor. In February 1917 Curtin would be on his way to make a new life in Western Australia, where he would at long last be able to marry Elsie. Next Next post: 41. The Countesse of Pembroke’s Arcadia, 1633.